Our “Breath training for high performance team sports” workshops include a theoretical component where your team will learn about topics such as Mental management techniques, Correct breathing, relaxation techniques, performance enhancement and how much freediving (and other sports) have changed over the years with the understanding that it’s out mind that we must train. We will understand the role of Co2 and how we can train our body and mind to perform under high Co2 situations. We will incorporate aware breathing and the effects breathing has on our bodies. Depending on the size and requirement of the team we will discuss other topics. The duration of this section is between 1-2 hours. Providing the activity includes a pool component we will divide the group into smaller groups and will proceed to the water sessions. Relaxation techniques, Breathing techniques, Stress management. At the end of the sessions we will provide you with practical training tools which will greatly increase your ability to perform under pressure and enhance your breathing performance. We will also be happy to offer you ongoing support with breath training if you find the program beneficial. Program duration: 6 hours or more (depending to the number of participants and time requirements). Please contact us for more information about our unique experiences. – For larger groups we will have more facilitators and will require more time. In a career spanning two decades Erez is one of the world’s most experienced Freediving instructors and trainers. He has worked with thousands of FreeDivers and world class athletes to enable them to achieve their goals. From a background of Swim Training and Hydrotherapy (rehabilitation in water) Erez incorporates his vast knowledge of human physiology, sport science and medicine with his experience as a world class athlete. Erez has the ability to engage and hold the attention of any audience regardless of whether it is a group of 20 or 200. His talks combine humour with powerful visuals and a strong message. Erez has delivered talks in diverse settings such as Universities, Clubs, Companies, Sport institutes, Armed forces and many others. Since his arrival in Australia 10 years ago Erez has worked on developing the field Freediving and has established Australia’s largest school which later evolved into an international agency. His Safety talks are an integral part of many freediving and spearfishing educational programs around the world. 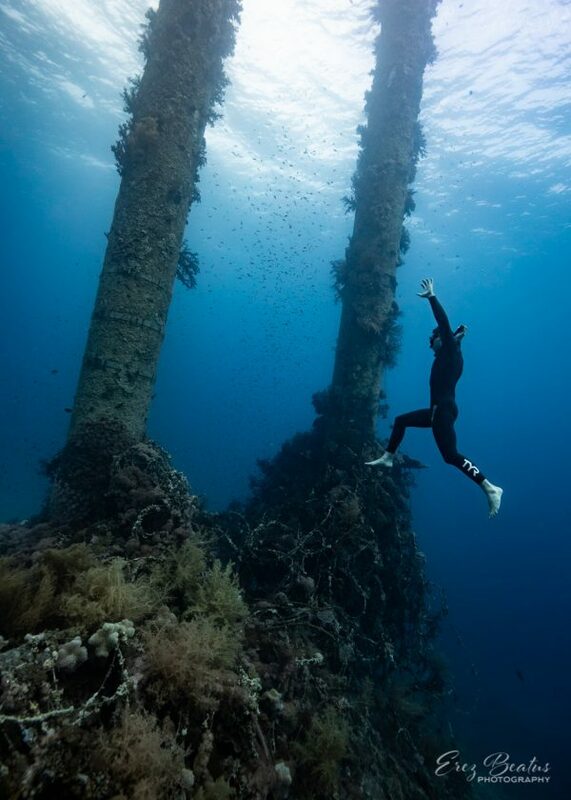 Erez speaks about Freediving and how it can be compared with the more conventional world. His talks spark interest in personal growth and leave the audience reflecting on how they would want to live their life.Erez will meet with your team prior to the talk to hear about the desired outcome and will customise the presentation accordingly. Treat your team to an experience like no other. Our workshops are delivered by a team of extremely qualified instructors led by the founder of Apnea Australia – Erez Beatus It is easy to find companies which offer team building activities and public speaking options to companies. We try to offer an event which will trigger discussion, provide practical tools to be used after the experience and improve the participant’s wellbeing. We have worked with different types of people – from sporting clubs who wish to engage their team and build a strong companionship, through companies who wish to expand the horizons of their staff to community centres. We offer tailored solutions to fit your requirements. We will be happy to discuss customised events to suit your needs. In a world where there are so many challenges and hurdles to jump through on the way to success it is easy to give up and say “Its impossible to do it..”. Our team building options will help build a strong team spirit, will grow confidence, improve focus and help with setting goals. Our activities combine theory with practical experience in the pool / ocean. Our Breath training for high performance workshops help Australia’s top sporting teams boost performance, team spirit and motivation. Workshops combine a theoretical component with cutting edge training.